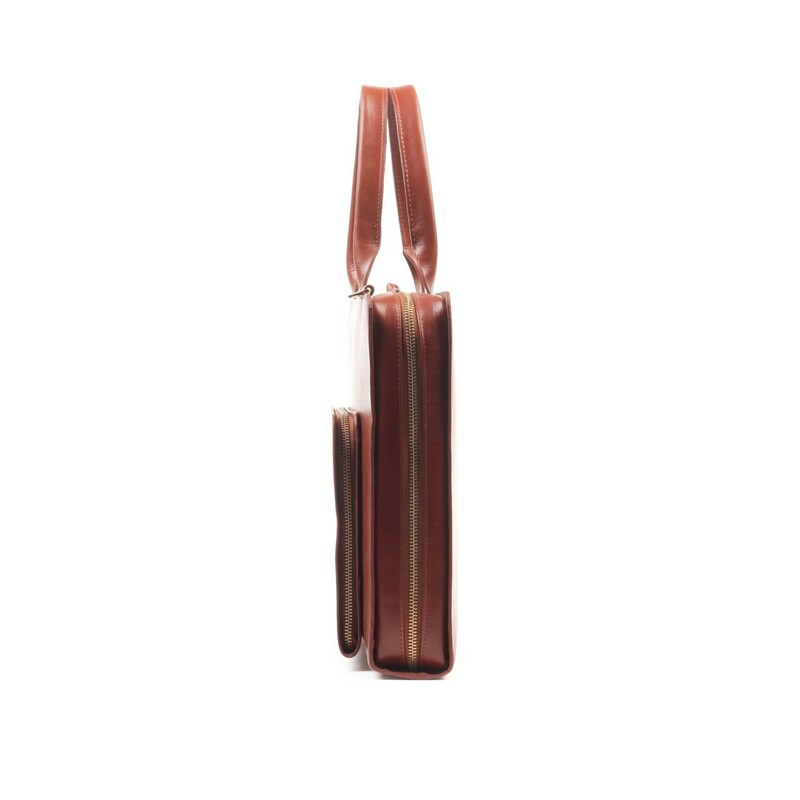 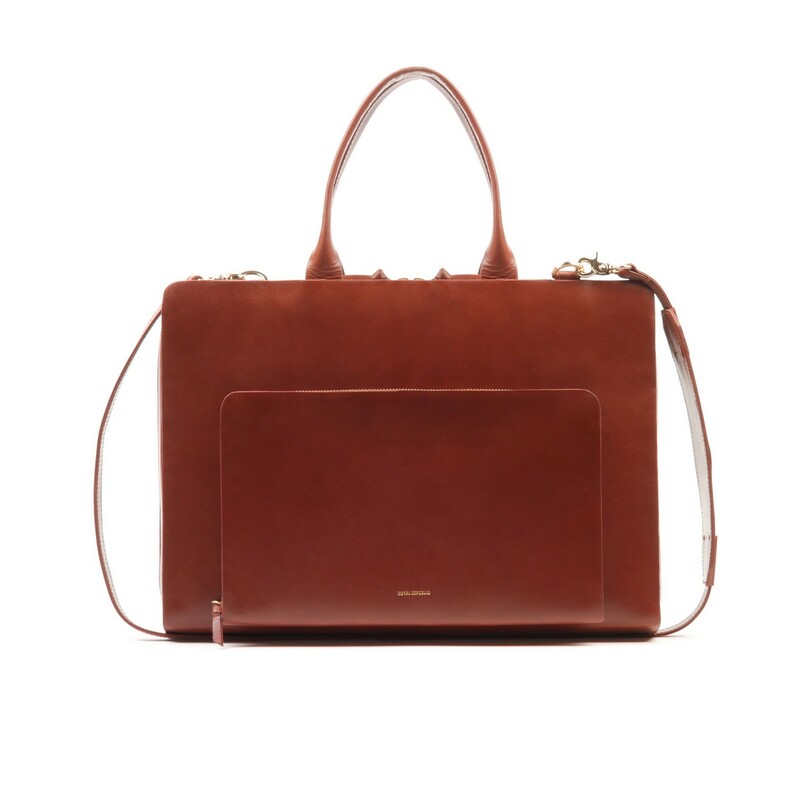 Galaxy Day is an elegant leather bag by Royal Republiq. 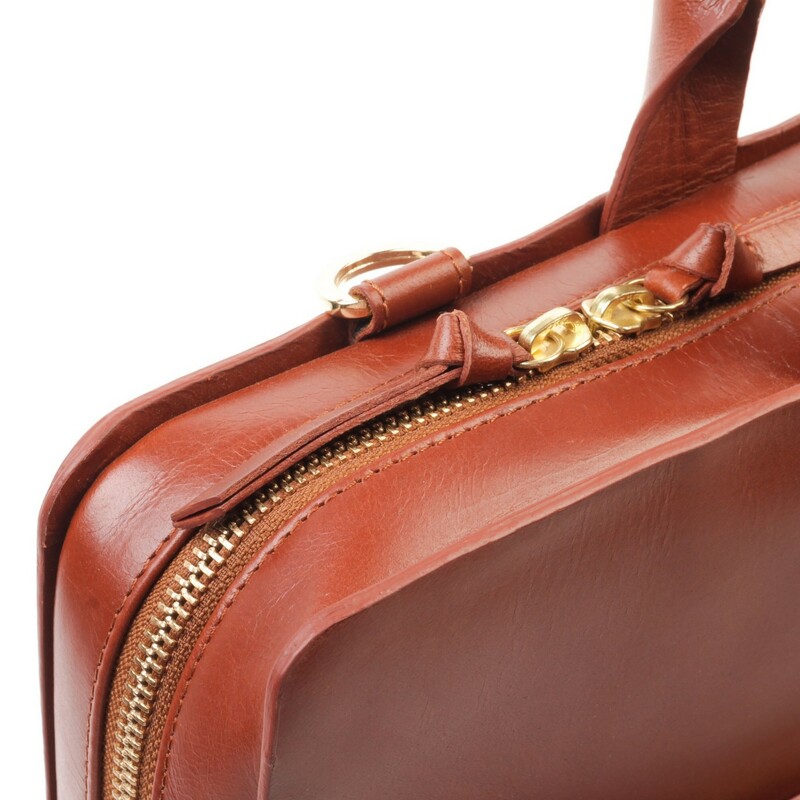 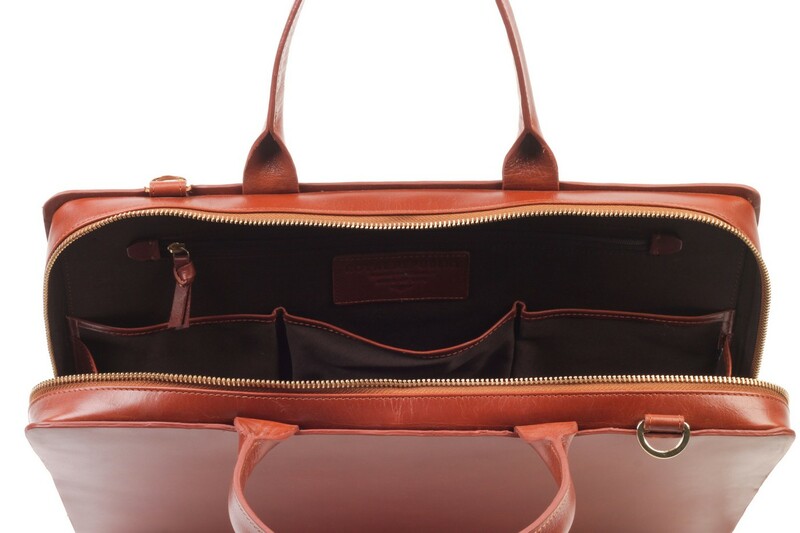 With its practical spacious compartments and pockets is suitable for anyone who appreciates comfort and functionality. 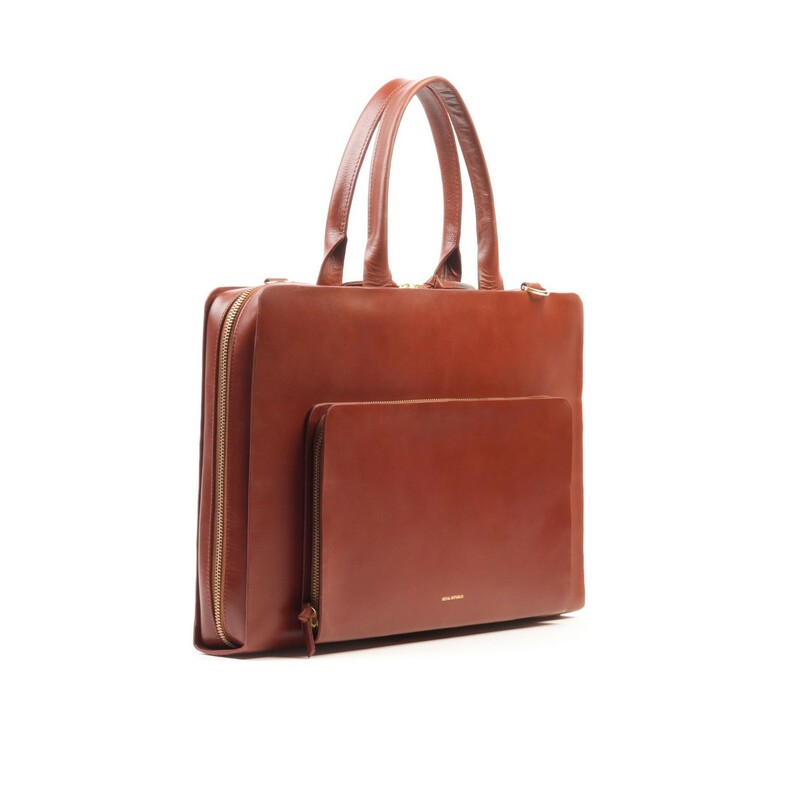 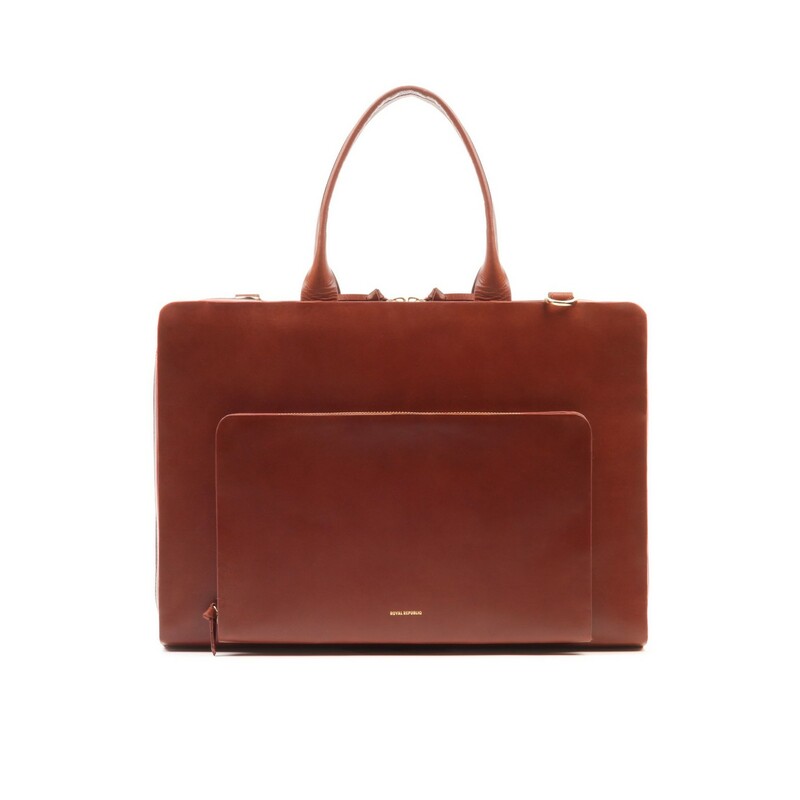 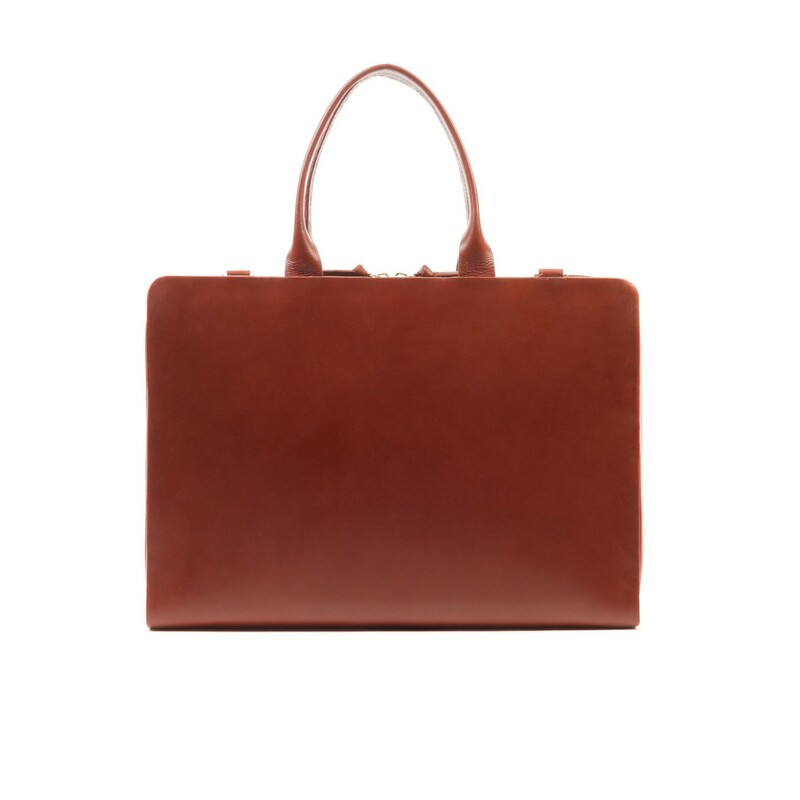 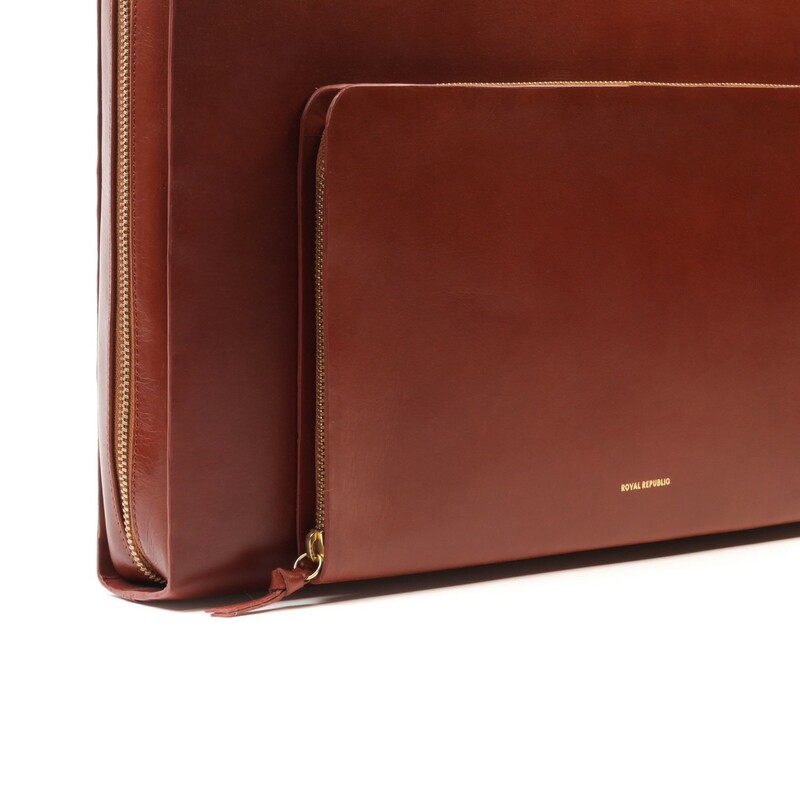 This cognac leather bag by Royal Republiq comes with an adjustable leather shoulder strap and a compartment for a 13" inch laptop.You can also use it as a briefcase.